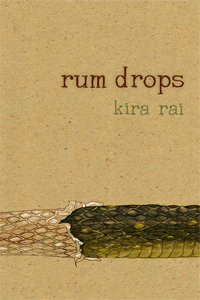 Rum Drops is the harrowing, true story of a girl growing up with a father suffering from mental illness and alcoholism, and a mother who accepts her husband's abuse and remains indifferent to her children's anguish. "I pray to God you meet someone that beats you and rapes you," Dad grunts and puts his hands together in prayer. "That's my one wish to God. It'll be the one way to set you straight." — An excerpt from "Home Invasion"